Ecommerce managers and online store owners all know the importance of product descriptions. but they are still often overlooked and not optimized to their full potential. A product description is the marketing copy used to describe a product’s value proposition to potential customers. 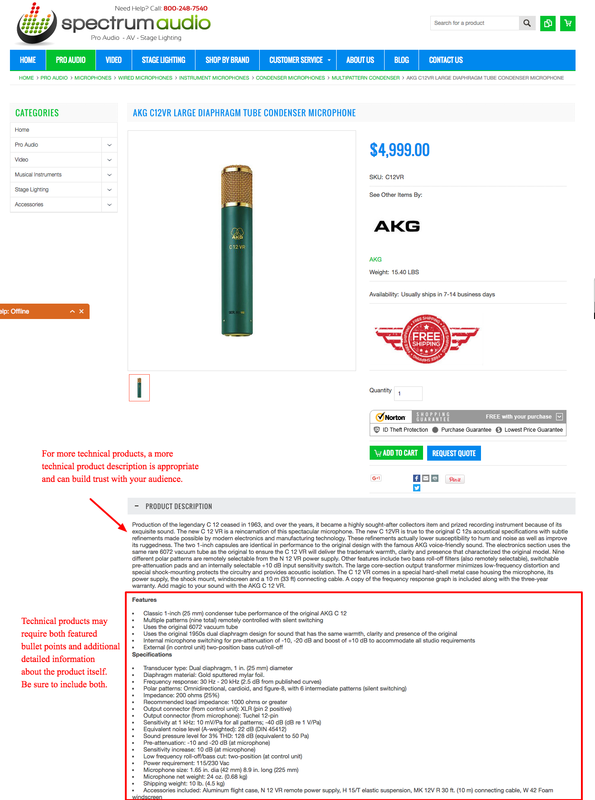 A compelling product description provides customers with details around features, problems it solves and other benefits to help generate a sale. 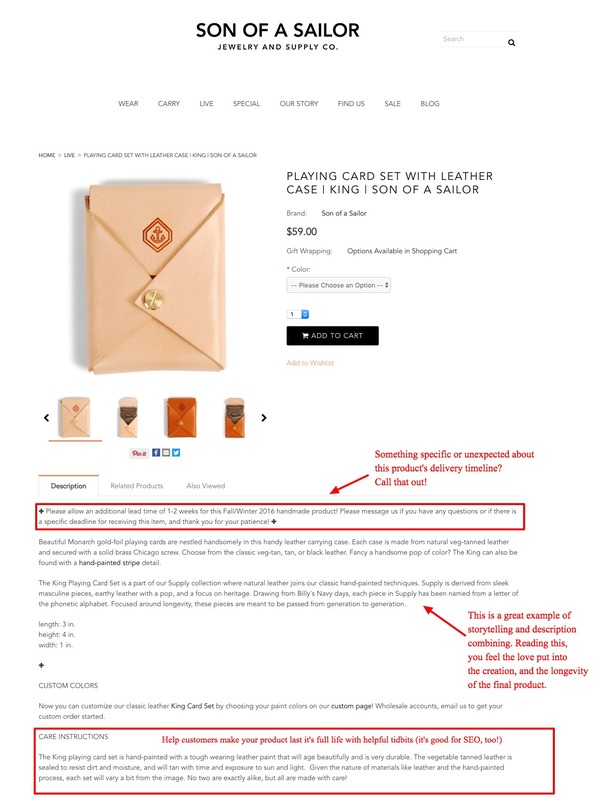 Below examples highlighting how improving product descriptions improve conversion rates as well as tips to help you craft the perfect copy. 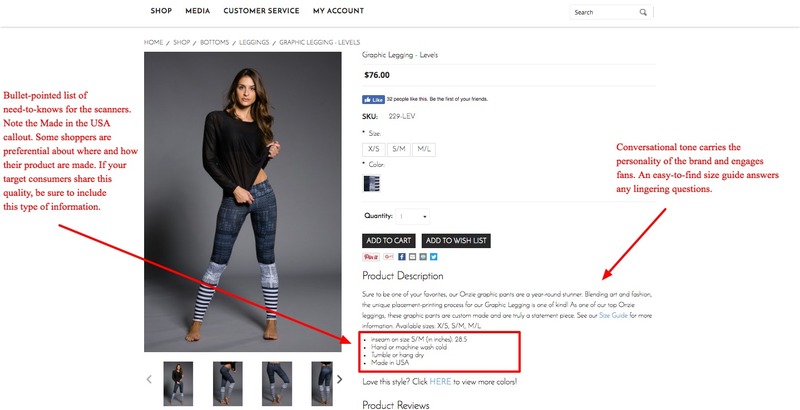 Product descriptions play a huge part in generating sales. But what should they say? How long should they be? What format is best? How do I make them rank high in search engines? We suggest using the following template to ensure you are crafting the best product description. 1. Think about the who, what, where, when, why and how before writing. These questions are great to use as your product description template when you want to accurately describe your best items. 2. Determine the best format to describe your products. Now it is time to craft your product description. Here are a few ideas and examples to help get you started. 3. Choose goals and KPIs to measure success of your product descriptions. You need goals to measure the success of product descriptions. An increase in conversion rate. A decrease in cart abandonment. 4. Make your product description copy short and sweet. 5. Use storytelling to your advantage. 6. Don’t be afraid to boast. Take the product description formula above one step further, like water polo retailer Kap7 ( and check out their amazing backstory). Is your product differentiated through a founder’s expertise? Is your product better because of years of testing? Is it hand-crafted? 7. When needed get technical to win trust. 8. Know when to show and not tell. 9. Know when to show, tell and describe. Other than graphics, videos can be an extremely effective way to showcase how to use a product or why it is better than others. Many brands use videos, graphics and text to drive the point home. Check out the following sample description for an online store’s top-selling product. 10. Don’t be afraid to be unique. While a short paragraph description on a product page is a best practice — know when that isn’t what your audience wants. Every industry and every online business is unique. Do you know your customer well enough to know they won’t read that product description? Are all of your customers scanners? 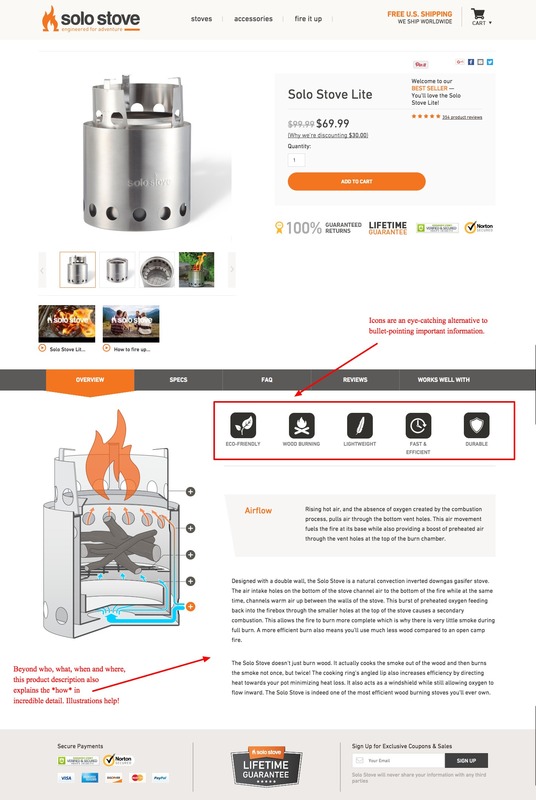 Joovy followed the simple formula above, but instead of simply writing out bullets, they used the their bullet-pointed list to create a storyline throughout the product page. This is what a home run looks like. Danielle is the owner of Bigcommerce Partner Duck Soup E-Commerce and the author of E-Commerce for Everyone: How to Launch a Successful Online Store Using Bigcommerce (or Other Hosted Platforms). She’ll be sharing best practices, strategies and tips for running a successful online store that she’s learned over more than a decade in the e-commerce industry in marketing, merchandising and design roles.